B&E International, now part of the Raubex Group of companies, was established in South Africa back in 1972 as a drilling and blasting specialist and soon diversified into the mobile crushing sector with its own mobile and static crushing division. In 1993, it entered the mining services sector and further diversified into bulk mining, processing and mineral beneficiation. “Over the years, we have gained extensive experience in the design, manufacture and operation of purpose-built mineral processing plants,” Basson explains. Given the present volatility of commodity prices being experienced within the market, much focus is being placed on mineral processing plant production optimisation at the lowest possible cost. Combined with these challenges, new mining greenfield operations also face capital constraints. It is against this background that contract operation of mineral processing plants has become the new paradigm, not only in South Africa but across the world, as mining companies look for innovative ways to avoid mammoth upfront capital expenses and reduce owning, operating and maintenance expenses, thereby ensuring optimal returns to the respective stakeholders. “B&E International offers an innovative toll processing model for processing plants that is specifically focussed on junior mining companies, or those who are new to the mining business and who often find it very difficult to raise the necessary capital needed to commence mining projects.” says Basson. Two models are offered by B&E International, namely the EPCM (Engineering, Procurement, Construct & Management) and the BOOT (Build, Own, Operate & Transfer) models. “The BOOT concept is generating a lot of interest at this stage, especially from junior miners. Under this model, B&E International retains ownership of the plant for a pre-determined time period and once the contractual obligations to the customer have been fulfilled, the customer has the option to take over the plant at an agreed upon value specified in the BOOT contract. “We have executed a number of successful contracts where we design, construct and operate a mineral processing plant on behalf of a mining customer, allowing them to focus on other critical aspects of their operation,” Basson tells MechChem Africa. The primary advantage of adopting a toll-processing model lies in the fact that all plant design, operational and financial risk for the associated project is assumed by B&E International. “The advantage to the customer is that we assume all the risk related to the non-performance of the plant. If the plant doesn’t perform, we don’t get paid,” says Basson. “Extensive experience in the design and optimisation of mineral process plants has been obtained in various commodities and these include copper, coal, manganese, iron ore, gold and construction aggregates,” he says. Our experienced team of design engineers utilises the most advanced design technologies including FEA, 3D CAD modelling and simulation software. 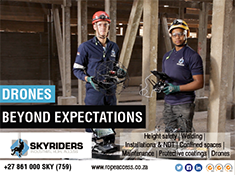 This coupled with the extensive experience gained as operators over the years, ensures that all equipment designed by us is fit-for-purpose, cost effective and reliable in all respects,” adds Basson. He says that B&E International is currently doing significant amounts of work on the coal side. “Our in-house R&D department has developed new crushing technologies for coal and we are currently in the final stages of manufacturing a specialised coal crushing unit,” he says. Ideal for junior miners, this modular track-mounted coal-crushing unit will be used on our toll-based coal crushing contracts and as part of bespoke solutions for junior or midcap coal miners. “These are cost sensitive operations and, in these uncertain times, our toll-based processes offer cost effective solutions that can make shorter-term operations much more cost effective and profitable,” Basson says. He further cites a B&E International flagship project in Namibia, the Tschudi Copper Project, which is currently processing around 300 000 t of copper ore per month for the mine owner, Weatherly International. “Our responsibility includes the crushing, screening, agglomeration and heap leach stacking of the ore,” he explains. Describing the basic minerals processing requirements for copper, he says that the mined ROM is fed through a three-stage crushing circuit, screened, agglomerated and stacked on a heap leach pad. Depending on the ore type being processed, the oxides are typically crushed down to a -19 mm fraction, whereas the sulphides are crushed down to a -16 mm fraction. In order to optimise heap leach permeability of the ore, it is essential that the amount of fine ores being treated in the heap is minimised. This is achieved by introducing an agglomerator whereby sulphuric acid is introduced so that, essentially, it acts as a binder, coalescing fines into larger particles. Optimal agglomeration of the ore is of fundamental importance in order to maximise the copper recovery process. “B&E International design engineers, in collaboration with the production staff at the mine site, have successfully optimised the design and operation of this agglomerator, resulting in optimal performance for the complex ore being treated,” Basson explains. Sulphuric acid is used to dissolve the copper from the ore. The acid is recycled from the solvent extraction circuit by means of a solvent extraction-electro winning (SX/EW) plant,” he adds. Given the extensive engineering network in place at the company’s head office in Kempton Park, engineers and technical support staff are available at extremely short notice to attend to customers’ needs, if required. “We know from first-hand experience that plant outages and sub optimal performance of crushing circuits are extremely costly and need to be attended to immediately,” Basson adds. B&E International also offers consultancy services for the upgrading, debottlenecking and optimisation of existing operations. “If a customer’s plant is underperforming in terms of envisaged profitable production, we can offer process plant optimisation consultancy services to help identify where best to implement changes to improve the situation. 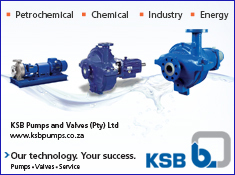 “If the customer is then willing, we can implement the changes using our own engineering staff, or the customer can implement the suggestions for themselves without our further involvement,” Basson continues. “All the required design and manufacturing activities are carried out in-house at our manufacturing facilities based at our head office,” he says. “We are not a project house. We are a minerals processing company that strives to take risk away from our customers. If we don’t get it right, we don’t get paid, so we tend to go the extra mile to make sure that the equipment we install and operate can do the job cost effectively and reliably with the absolute minimum downtime,” he concludes.